The summer of 2009 was a time of big changes for our family. My husband and I had made the decision to move our children – then ages 8, 6, and 2 – from Pittsburgh to the Boston area. We were happy to be moving to a place where we had family just a short drive away, but we were torn about leaving the unique and close-knit Jewish community we had come to love in Pittsburgh. 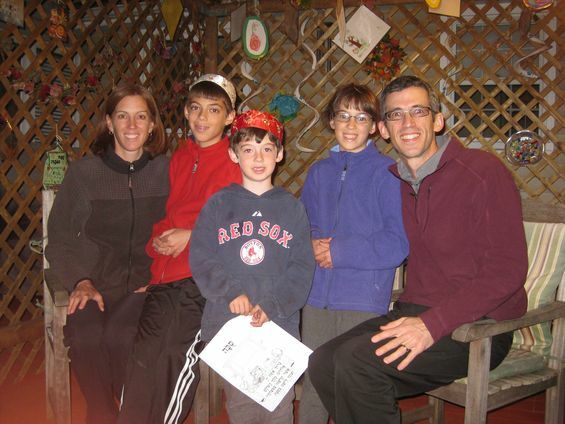 After unpacking our boxes and reprogramming the “home” button on our GPS, one of our first goals was to look for a Jewish community where we could begin to connect with other families like us. The task proved to be more difficult than we had expected. In Pittsburgh our older kids had gone to a day school with 20-30 kids per grade and in which all the families knew each other; now there were nearly 60 kids in each of their grades, so it was easy to fly under the radar as a new family. Moreover, since neither child was entering the school as a kindergartner, we missed out on the “getting acquainted” activities tailored for new families. Our two-year-old wouldn’t be old enough for Jewish preschool for another year, so we couldn’t connect through that venue either. We next looked to find community in the synagogue setting. We attended High Holiday services at Temple Aliyah and began going to Shabbat services there, too. However, as any parent knows, most of our conversations after services were limited by our children’s needs – especially our two-year-old, who by the end of a Shabbat service and kiddush lunch was ready to nap (if we took him home) or decompensate (if we did not)!